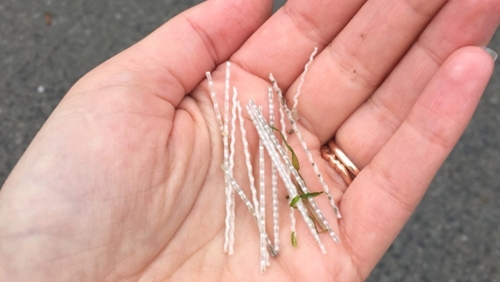 There are concerns for marine life in Dún Laoghaire after tens of thousands of tiny plastic rods went into the sea there. The 4cm-long shards of plastic were released into the sea by the developers of the new Dún Laoghaire Baths site. A clean-up operation took place over the weekend and the company working on the Baths, SIAC/Mantovani Group, is due to release a report on the environmental damage. Fine Gael councillor for Dun Laoghaire-Rathdown Barry Ward said much of the material has already been recovered, but there is still a substantial amount unaccounted for. "There has been a measured success, I mean SIAC tells us that 70kg of the material has been recovered. I don't have independent verification of that but that's what I know they have said. "That's obviously very substantial but it also means that there's also a substantial amount unaccounted for and we don't know where that is," he said. Mr Ward said the construction company has accepted full responsibility for the incident. "I can say that the council acted very swiftly last week; and all of the relevant state agencies were informed - the Environmental Protection Agency, the National Parks and Wildlife Service - and I expect that there will be an ongoing investigation," said Mr Ward. "I understand as well that SIAC has accepted responsibility for this and I can confirm, having spoken to council officials this evening, that all of the cost of this clean up and any future liability will be borne by the company and not by the council or not by the taxpayer."